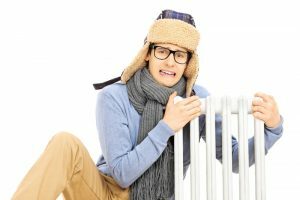 Here are the best steps to take to prepare your heating system for chilly winter temperatures. Change Your Air Filters: It’s important to maintain clean air filters in your HVAC system. It’s obvious that the air filters in your home affect the quality of your air but a dirty air filter also negatively impacts the efficiency of your system. Cleaning or replacing your air filters every few months helps maintain high heating and cooling efficiency in your home. When your system is as efficient as possible, you’ll run into fewer repair needs and increase your system’s lifespan. Clear the Space around Your Furnace: It’s common for homeowners to place things on or around their furnace during the warmer months when they aren’t using it. Now that you’ll be using your system again, make sure that you relocate any remaining items in this area before you turn on your heater. Leaving materials here is a huge fire hazard! Consider Upgrading Your Thermostat: One simple step that greatly increases your HVAC efficiency is to upgrade your thermostat. Even if you already have a programmable thermostat or a digital thermostat, it is still beneficial to take things to the next level and get a smart thermostat. A smart thermostat allows wireless capabilities so that you can access and change the temperature of your home from anywhere. It also learns your heating and cooling preferences over time. This capability is what makes the system “smart.” Over time, a smart thermostat will analyze patterns in your home habits and anticipate your needs by changing the temperature in your home. Some units even show you opportunities to save yourself money on energy costs. Repair any issues before temperatures dip any lower. If you want to make sure your heating system is prepped for winter, contact our team to schedule an appointment today.